The Montreal police are said to be going door to door to locate the child that has been missing for four days. 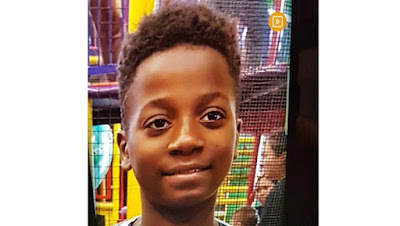 The child's name is Ariel Jeffrey Kouakou. The police should be going door to door today. The ten-year-old child was supposed to arrive at a friend's house when he never did. Ariel's father suspects that his boy was abducted, although authorities do not know exactly what happened to him at this time. The police are still asking anyone with information to come forward and give it to them. Const. Jean-Pierre Brabant is said to have mentioned that the police force moved their command post to Galerie Normandie, an area where a shopping center is present. It's also a place that Ariel is said to have often come too. The missing child has black hair, is black and is French-speaking. He was wearing a black coat with a hood, yellow shoes, and grey pants before he went missing.